Les Genets (France) is a superb 5 star site ideal for a family holiday, 10 minutes walk from glorious sandy beaches ideal for sunbathing, swimming, windsurfing & sailing. The indoor pool makes it an ideal choice early or late season. 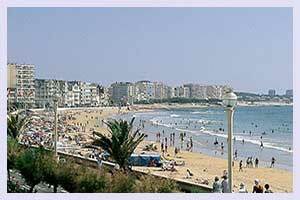 Les Genets is a 5 star site, approximately 800 metres (about 10 minutes walk) from long glorious sandy beaches. These beaches are ideal for sunbathing, swimming, windsurfing & sailing. The pool complex includes an indoor and outdoor pool, with slides and cascading water waves. 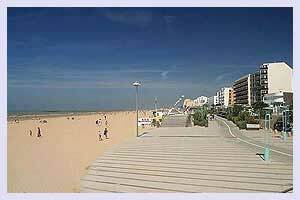 Near to the site entrance is crazy golf and carrying on towards the Plage de Mouettes and Merlin Plage beaches are cafes, restaurants, a supermarket, bike hire, and shops. The area provides opportunities for walking, cycling, quad biking & pony trekking ( available at local equestrian centre). The campsite offers a relaxed, family atmosphere set in a wooden park. In high season there is organised entertainment provided during the day and night. The site is ideal for children of all ages. Also at close proximity is the Atlantic Toboggan water park. Close by is the St Jean de Monts golf course, offering an excellent 18 hole course. is a busy and attractive seasidetown with many attractions, sea front bars, shops, cafes and restaurants including an excellent beachand twice weekly market. Only a short drive from Le Genets site. 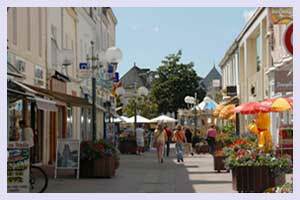 is a beautiful small town with a thriving marina and fishing port. is a large and bustling town-resort with beautiful beach and promenade with a varied nightlife including many excellent cafe bars, bistros and welcoming restaurants. 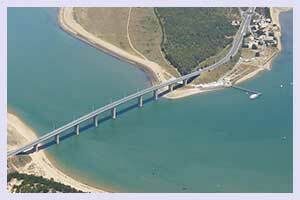 is situated to the north of St Jean De Monts and offers lovely remote beaches and has a lovely island feel. It can be reached either by a bridge or at certain times of low tide by a causeway. 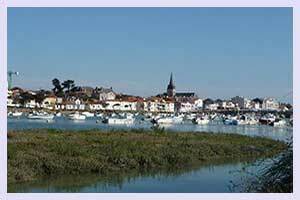 is situated a few miles inland from St Jean De Monts and provides a nice day away from the beach, with a lake and chateau on offer. is a large town that holds a large medieval all day market with lots of stalls, arts, crafts, musicians and singers where every one from children to adults are dressed in period custome. Not to be missed, these markets are held on 2 Thursdays in July and 2 Thursdays in August. 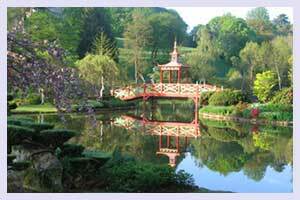 20% discount for our customers for Brittany ferry crossings courtesy of Holiday France Direct. Just wanted to let you know how impressed we were with the whole package we received from your company. Lovely site, pitch and accommodation at Les Genets. Really friendly, helpful couriers and even had hot sunshine everyday!!!! Will be booking second holiday with you soon for later on this summer. I have told all my friends who usually book with eurocamp etc to take a look on your website first. We felt we had excellent value for money without compromising. Yours sincerely, Mrs K.M. Just arrived home from our holiday at Les Genets. It was a fantastic site and very suitable for our three young children, with lots to do both there and in the immediate vicinity. The new mobile home was really very nice and absolutely immaculate, and the couriers made us feel most welcome and were very helpful during our stay there. Kind regards, Mrs B.H.